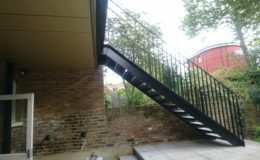 Contemporary steel balcony with steel stairs leading to the garden. 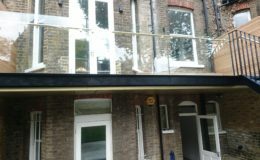 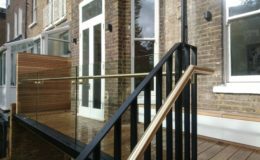 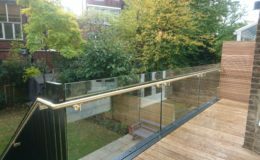 Balustrade made of steel, glass and brass. 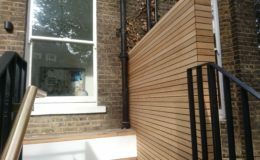 Decking and party walls made of Canadian redwood. 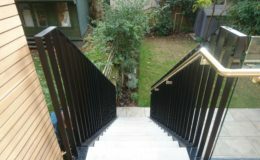 Stairs made of steel PFC's and covered with Indian sandstone. 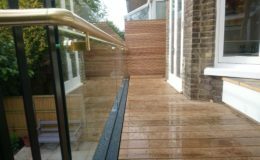 Patio paved with Indian sandstone.